448 pages | 36 B/W Illus. 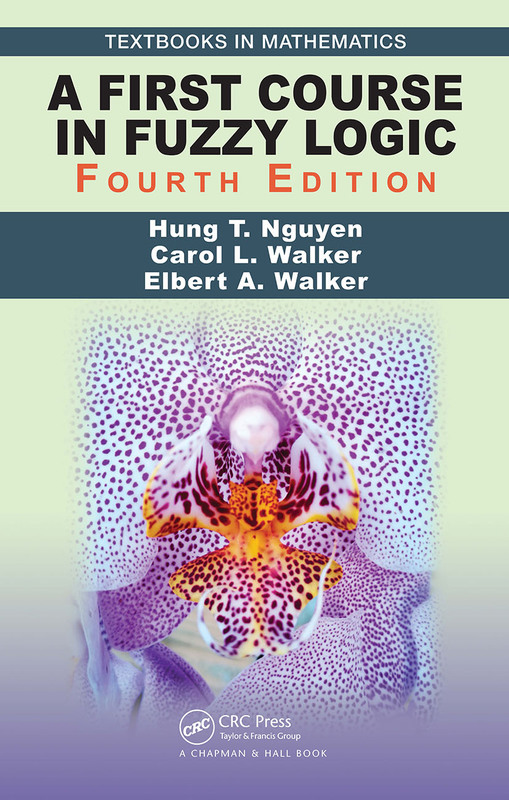 A First Course in Fuzzy Logic, Fourth Edition is an expanded version of the successful third edition. It provides a comprehensive introduction to the theory and applications of fuzzy logic. This popular text offers a firm mathematical basis for the calculus of fuzzy concepts necessary for designing intelligent systems and a solid background for readers to pursue further studies and real-world applications. With its comprehensive updates, this new edition presents all the background necessary for students, instructors and professionals to begin using fuzzy logic in its many—applications in computer science, mathematics, statistics, and engineering. Hung T. Nguyen is a Professor Emeritus at the Department of Mathematical Sciences, New Mexico State University. He is also an Adjunct Professor of Economics at Chiang Mai University, Thailand. Carol L. Walker is also a Professor Emeritus at the Department of Mathematical Sciences, New Mexico State University. Elbert A. Walker is a Professor Emeritus, Department of Mathematical Sciences, New Mexico State University. Examples. Mathematical modeling. Some operations on fuzzy sets. Fuzziness as uncertainty. Boolean algebras and lattices. Equivalence relations and partitions. Composing mappings. Isomorphisms and homomorphisms. Alpha-cuts. Images of alpha-level sets. Fuzzy quantities. Fuzzy numbers. Fuzzy intervals. Classical two-valued logic. A three-valued logic. Fuzzy logic. Fuzzy and Lukasiewicz logics. Interval-valued fuzzy logic. t-norms. Generators of t-norms. Isomorphisms of t-norms. Negations. Nilpotent t-norms and negations. T-conforms. De Morgan systems. Groups and t-norms. Interval-valued fuzzy sets. Type-2 fuzzy sets. Fuzzy implications. Averaging operators. Powers of t-norms. Sensitivity of connectives. Copulas and t-norms. Definitions and examples. Binary fuzzy relations. Operations on fuzzy relations. Fuzzy partitions. Fuzzy relations as Chu spaces. Approximate reasoning. Approximate reasoning in expert systems. A simple form of generalized modus ponens. The compositional rule of inference. Fuzzy rule bases. Design methodologies. Some mathematical background. Approximation capability. Probability and uncertainty. Random sets. Possibility measures. Motivations. Belief functions and incidence algebras. Monotonicity. Beliefs, densities, and allocations. Belief functions on infinite sets. Mobius transforms of set-functions. Reasoning with belief functions. Decision making using belief functions. Rough sets. Conditional events. Motivation and definitions. Fuzzy measures and lower probabilities. Fuzzy measures in other areas. Conditional fuzzy measures. The Lebesgue integral. The Sugeno integral. The Choquet integral. Motivation for fuzzy control. The methodology of fuzzy control. Optimal fuzzy control. An analysis of fuzzy control techniques.